Fast Protein – Made Faster! 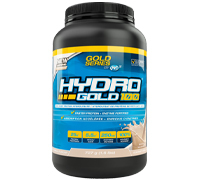 New HYDRO GOLD 100 is a premium 100% pure isolated whey protein hydrolysate from Gold Series by PVL. Our award-winning formulators bring you this silky-smooth protein designed for a high-quality taste and mixability experience – the calibre of which PVL’s multi-award winning reputation is built upon. Whey hydrolysate is enzymatically enhanced whey protein to help break down larger proteins into more readily absorbable smaller proteins. The result is a faster protein for better uptake. HYDRO GOLD 100 is quality manufactured in-house within our own world-class, GMP certified and multi-licensed 100,000 square foot facility. We are the direct manufacturer, ensuring you get higher quality ingredients that are used every step of the way. Our plant is federally registered and licensed to produce products for over 100 countries. Because our products export all over the world, our quality and safety standards have to be of the highest in the industry - we test our products beyond what is normally required. GOLD SERIES BY PVL™ formulas are made for everybody that demands premium quality and performance. Our products are developed in collaboration with a select group of nutritionists, trainers, and both professional and amateur athletes - each formula is researched, tested, and athlete approved. 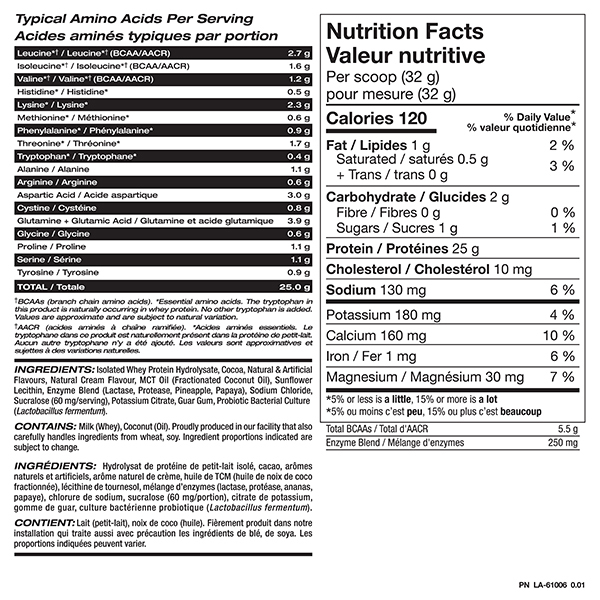 HYDRO GOLD 100 delivers 25g of faster assimilated whey protein hydrolysate and is rich in BCAAs (5.5g per serving). Protein helps to build and repair body tissue and aid the production of antibodies, plus HYDRO GOLD 100 tastes great too!